Ce document au format PDF 1.3 a été généré par 3B2 Total Publishing System 8.06a/W / Acrobat Distiller 7.0 (Windows), et a été envoyé sur fichier-pdf.fr le 28/07/2017 à 23:41, depuis l'adresse IP 105.98.x.x. La présente page de téléchargement du fichier a été vue 421 fois. Taille du document: 233 Ko (6 pages). at risk of serious infection. algorithms facilitates identification of low-risk infants. less than 90 days of age. area of debate and research. bacteremia (6.3%) and meningitis (0.2%) [8 ]. meningitis (0.3% of infants with E. coli UTI) [8 ]. presumptive UTI based on the urinalysis . 90 days of age (13.9 vs. 15.6 vs. 17.9 h, respectively). [16 ,17 ]. Using administrative data, Aronson et al. traditional algorithms, the limitations of each algorithm are clear. used in the stratification of young febrile infants. children younger than 36 months of age [24 ]. 97%, and negative likelihood ratio 0.25) [21 ]. safe for discharge [25 ]. before attempting lumbar puncture in infants. dynamic) increased first-attempt success (57.8 vs.
31.3%) and success with three attempts (93.7 vs.
variability in acyclovir utilization between hospitals. tests are considered and empiric acyclovir is administered [38 ]. infants without a specific viral infection (4.2 vs.
management and treatment of young febrile infants. making a presumptive diagnosis of UTI [44 ]. underway to advance our diagnostic repertoire. biosignatures show promise but are not yet proven. 1. Biondi EA, Byington CL. Evaluation and management of febrile, well appearing young infants. Infect Dis Clin North Am 2015; 29:575–585. care of fever in early infancy. JAMA 2004; 291:1203–1212. 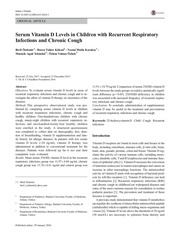 fever in selected infants. N Engl J Med 1993; 329:1437–1441. days of age. Pediatr Infect Dis J 1990; 9:153–157. of infants and children 0 to 36 months of age with fever without source. implications for management. Febrile Infant Collaborative Study Group. bacterial infections in young infants. Pediatr Infect Dis J 2014; 33:595–599. streptococcus is becoming less prevalent, and Listeria infection is also rare. prevention and continued challenges. Clin Perinatol 2010; 37:375–392. 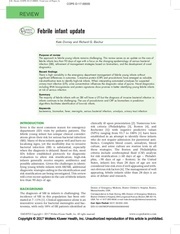 infection (IBI) in febrile infants. infants in the United States. Pediatrics 2013; 132:990–996. febrile infants with bacteremia. JAMA Pediatr 2014; 168:844–849. shows considerable variation in testing, treatment, and disposition in the management of febrile infants. pediatric emergency departments. Pediatrics 2014; 133:187–195. empiric antibiotic treatment. This newly described Step-by-Step Approach performed better in the validation cohort than other established algorithms/criteria. with fever without source. Pediatr Infect Dis J 2008; 27:654–656. appearing young febrile infants. 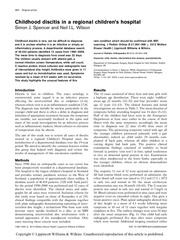 Pediatrics 2012; 130:815–822. diagnostic accuracy than CRP for detecting infants at low risk for IBI. neutrophil count, and absolute band count. infants greater than 21 days of age. infants younger than six months of age hospitalized with urinary tract infections. Pediatr Infect Dis J 2003; 22:1039–1042. lumbar puncture were more frequently hospitalized than those in whom nontraumatic CSF was obtained. point-of-care ultrasound to assist lumbar punctures. with skin and soft tissue infections in the pediatric emergency department. Pediatr Emerg Care 2012; 28:1013–1016. infection in infants 90 days old or younger. Hosp Pediatr 2015; 5:580–585. appearing young infants with SSTI may be managed without lumbar puncture. neonatal herpes simplex virus. Hosp Pediatr 2015; 5:106–108. the inherent challenges in diagnosing HSV. for improving the value of care. Hosp Pediatr 2016; 6:108–111. with the need for expedited diagnosis and treatment in high-risk patients. less than three months of age. Pediatr Infect Dis J 2010; 29:6–9. enterovirus infections in young infants. Pediatr Infect Dis J 2005; 24:546–550. urinalysis was positive in only 69% of those with positive urine cultures. identifying UTI in infants. Pediatrics 2016; 138:e20162370. automated microscopic urinalyses in young infants. infection. This novel test shows promise as a novel diagnostic biomarker. febrile children. JAMA 2016; 316:835–845. signature discriminated between bacterial and viral infections. parameters at distinguishing infectious from noninfectious presentations. Ce fichier a été mis en ligne par un utilisateur du site. Identifiant unique du document: 00532694.